President Donald Trump (L) shakes hand with China’s President Xi Jinping at the end of a press conference at the Great Hall of the People in Beijing on November 9, 2017. When the U.S. escalated the trade war by slapping tariffs on $200 billion in Chinese goods last September, China’s economy was struggling and its stock market was in a deep slide, giving the U.S. a seeming advantage in a trans-Pacific trade rift. Trade friction and tariffs have put a dent in both economies, and show up in record trade deficits between the U.S. and China. But China’s wobbling economy may be perking up. Manufacturing data this week showed that activity was expanding again. High level trade talks are continuing this week in Washington, and it appears progress is being made. 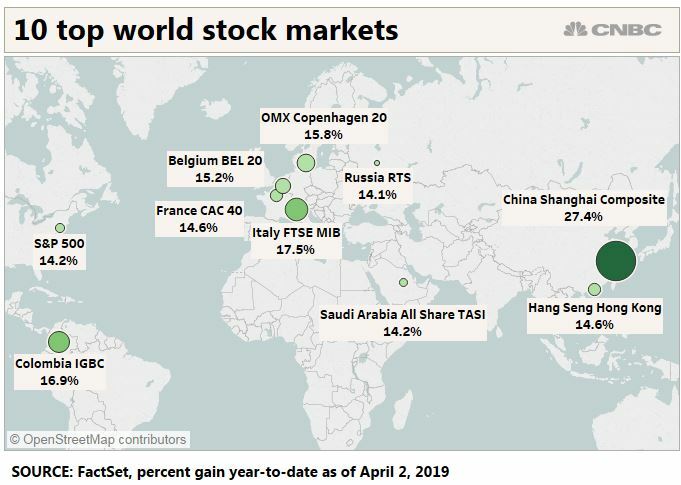 Strategists say the role of the stock market has become an important factor in trade negotiations, after the 14 percent dive in the S&P 500 in the fourth quarter and the 25 percent decline in Shanghai stocks for all of 2018. The U.S. stock market bottomed in the final week of December, and shortly after Trump announced progress in talks with Beijing. 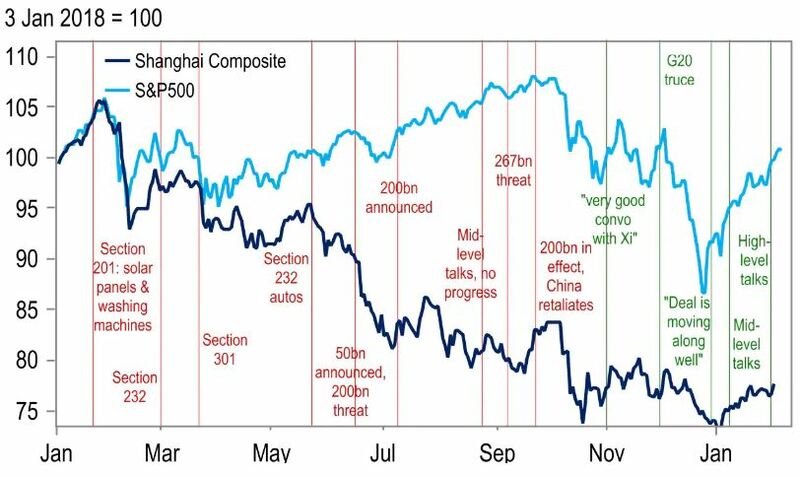 Shanghai and Wall Street stocks have both moved mostly higher since then, and the two sides have stayed at the negotiating table. “To the extent that the economy has moderated a bit, and the U.S. administration pays more attention to the stock market, suggests it will be more sensitive to imposing tariffs on China, relative to how it was before,” said Cesar Rojas, Citigroup global economist. For now, the U.S. has frozen tariffs at $250 billion on Chinese goods, and Trump held off increasing the tariffs while talks continued. If there is a trade deal and confidence improves, Harris said there’s a chance the Chinese economy could boom later in the year. “I think the question is, do they overstimulate?” he said. 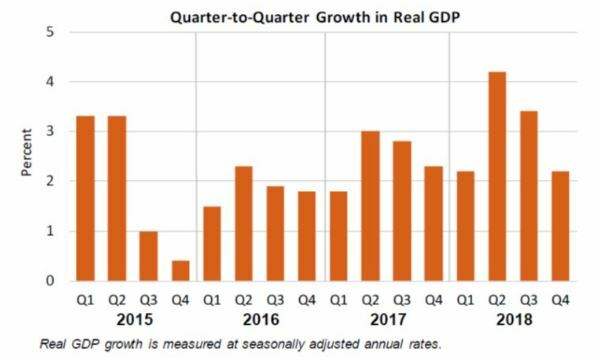 For the U.S. economy, meanwhile, second quarter growth is expected to pick up and economists now see growth above 2.5 percent after the first quarter slump. The rest of the year is expected to grow at about the same pace. Rojas said both governments are looking for a win. He said a trade deal could include increased Chinese purchases of soy beans, corn and other goods from the U.S. But China may want to take its time though many analysts expect a deal this quarter. “As they become more stabilized, the challenge for a trade deal in the very short term will increase because they will not be rushed to give very strong concessions to the U.S.,” he said. Some analysts remain skeptical about China’s economic progress. Paul Christopher, chief international investment strategist at Wells Fargo Advisors, said he believes it’s too soon to say China is stabilizing, and while he expects a deal on trade, he does not see it until this summer. “There definitely is room for both sides to make progress. The Chinese need some help on the economy. the president need some help on his 2020 election campaign, but he can’t afford to be too easy on the Chinese and the Chinese can’t be too easy on the U.S.,” said Christopher. “Could sentiment in the stock market rebound? Yes, if it becomes apparent that neither president has given away too much. It’s not a clear cut case that a trade deal necessarily helps the economy in either country. We do think it would help sentiment in the stock market unless it’s perceived to be a bad deal or they leave all the tariffs on,” he said.